Tired of narrow doorways? Bothered by skinny hallways? 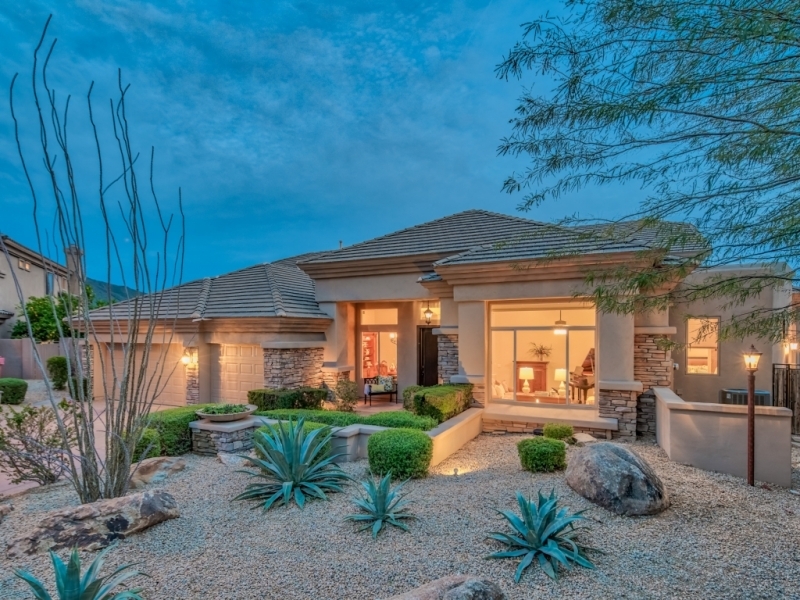 Seeking a home ready for you and your family now?This accessible home nestled at the foot of the McDowell Mountains in beautiful Scottsdale, Arizona has all of the features you’ve been longing for. Mountain View at McDowell Mountain Ranch offers expansive views of the McDowell Mountains, Camelback Mountain, valley sunsets and city lights. From morning until evening, enjoy all that the Scottsdale and valley landscape has to offer. This unique property is ready for you to begin your new Lifestyle. This home has been thoughtfully reimagined to accommodate every aspect of personal living style and space. The large, open-concept kitchen and great room welcomes family and friends to gather, whether sharing conversation by the fireplace or preparing holiday meals. This inviting space provides just the right setting to create new and lasting memories. The split master suite is a light-filled luxury retreat, with plenty of room for seating and relaxation. The master bath provides every amenity right at your fingertips. Featuring a private, walk-in shower, large jetted tub, oversized vanity with dual sinks, abundant storage, and separate water closet, you will feel as if you are in your own luxury spa. The walk-in closet with custom built-ins will help keep you organized and ready, whether headed for your morning run or dressing for that special event. The master wing of the home includes a large office with extensive custom built-in bookshelves and cabinetry. This secluded space provides the quiet solitude and privacy that is important when working from home. A second master suite or guest quarters offers a seating area, separate bedroom, and spacious full bath, including washer and dryer hookups for added convenience. Whether short term or long term, guests will appreciate this private space and its amenities. The four additional bedrooms are designed as their own wing, complete with two separate work or study stations, and are served by two sizeable full bathrooms. This area is ideal for allowing family members to enjoy their own space, adjacent to the main living areas of the home. Step outside and enjoy views from every angle. Two grassy areas provide ample space for a game of bocce ball or croquet. Enjoy a swim in the pool, while the built-in barbecue heats up in preparation for dinnertime grilling. Parking is effortless in one of three garage spaces or three level spaces on the driveway. Enter through the front door, which easily accommodates a threshold ramp, and navigate easily along tile and wood floors. Head out back for a swim, and arrive at pool’s edge using your own stylishly designed dual-purpose ramp and walkway. Enjoy stunning pool deck views of Camelback Mountain, Thompson Peak, the East Valley. When evening falls, enjoy the city lights from the open concept great room, or expansive pool deck and patio area. At day’s end, bathe in comfort and style in your accessible shower. Granite countertops and stone shower are both beautiful and functional. When you’re ready to get some rest, choose from one of two master suites, and sleep peacefully in this quiet North Scottsdale neighborhood. Family and friends will feel welcome with plenty of room to relax and enjoy their stay in the 1,031 square foot elevator-accessible suite downstairs. This space offers a large living area, kitchenette, bedroom, and accessible bath. There is also a generous walk-in closet, fully equipped with built-in shelves offering abundant storage for luggage, as well as overflow from your recent shopping adventures. Live effortlessly and graciously in this unique home. Live McDowell Mountain Ranch. If you really enjoy hosting friends or family, you have plenty of additional room to do so in the 1,013 sq.ft. finished basement. Accessed with its own elevator, this space offers a large living area, kitchenette, bedroom and full bath. There is also a generous walk-in storage area, fully equipped with built-in shelves offering abundant space for luggage, as well as overflow from your recent stock-up purchase. Mountain View at McDowell Mountain Ranch offers the new lifestyle you deserve.